Workplace training, industry placement, internship or work experience is an integral part of learning experience at Australian Professional Skills Institute. The training provides students with hands-on work experience in the industry they want to work in and an insight into their dream jobs. It also provides students with an edge in their next career move and prepares them to ready to work in an Australian workplace and showcase their professional skills. As an APSI student, our industry connections are your industry connections. We recognise that graduates need more than a qualification to be competitive in a challenging job market. Through a structured workplace training program, students have the opportunity to work directly with the industry they chose. For many of our graduates, this work experience introduces them to their future employers. Workplace training enables our graduates more employable and also helps to reinforce the theory training they received at APSI. Many APSI graduates are offered paid employment after workplace training. Australian Professional Skills Institute has an extensive network of industry training partners in healthcare, hospitality and business industry areas. These leading companies provide invaluable industry insight and experience to help shape our qualifications through industry consultation process. APSI ensures they are in line with industry best practices. When you study with APSI, you also learn directly from industry with on-site visits and guest lectures from the best in the industry. View our healthcare, hospitality, management and business Industry Partners here. How can I benefit from workplace training? How long is the workplace training? It depends on the qualification you enrol in. It ranges from four weeks to six months in different blocks. Details of the workplace training hours and blocks can be found in the delivery plan. For International students on student visa, the duration of your workplace training is included in your course duration and it is covered by your student visa. You can check via this link on the registered duration of workplace training in all APSI CRICOS registered courses approved by the Department of Education and Training. How many hours am I entitled to work while on workplace training? You can find all workplace training duration for all courses on the CRICOS website for APSI courses. Will I earn a salary while I am on workplace training? It depends on the arrangements with your host employer and the job role. Employers can choose to pay the student during workplace training as a casual/part-time employee. If the workplace training is paid, the student will be covered by the workplace’s worker’s compensation insurance. If this is unpaid, the student will be covered by APSI’s public liability insurance. A copy of APSI’s public liability insurance will be emailed directly to the employer upon confirmation of the placement. Do I need to pay tuition fees to APSI while I am on workplace training? Yes, as long as you remained enrolled at APSI, you are required to pay the tuition fee as outlined in your offer letter and payment schedule. During workplace training, our workplace assessor will visit you in the workplace and discuss with your supervisor on your performance, feedback and deal with any issues arise. How do I find a placement and is it guaranteed? We encourage students to see workplace training like any job applications. Students are required to prepare their CV with covering letter, attend interviews and convince your potential host employer that you are a good fit to their organisation. APSI trainers are here to help support you through our industry connections with local organisations looking for enthusiastic and motivated students. APSI encourages you to search for your own placement opportunities in order to find a company and role that really appeal to you and your interests. Our workplace training coordinator can also assist to find suitable workplace training. What workplace training placement preparation is provided? At the beginning of each study period, students are scheduled to undertake a workplace preparation training program. In these sessions, students will prepare a resume, practise interview techniques and gain the necessary knowledge and skills to secure a job or a placement. 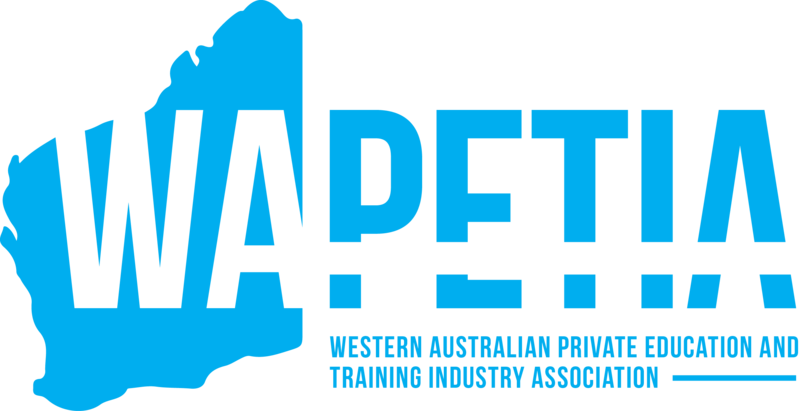 This preparation program is delivered by our workplace training assessors who provide coaching and guidance. This valuable experience will prepare students for placement and equip them with skills for future employment.